The ninth-place finisher for WCOOP 2017's first Sunday Warm-Up Special Edition was guaranteed a little less than $17,000. As the final table began the favorite to take that spot in the payouts was Poland's wiciu777. The SCOOP 2017 finalist treaded water early on and then got back into the game thanks to a couple of crucial coin-flip wins with the table still eight-handed, then took over the lead after turning a flush against an opponent who had flopped bottom set. It took two more hours to finish the tournament after that but wiciu777 never lost the lead, earning both a WCOOP title and a whopping $205,000 than had seemed likely a few hours earlier. The first two hours of play saw the blinds and antes rise from 60,000/120,000/15,000 to 125,000/250,000/32,500. Since only one player was taken out during that stretch - past Sunday Warm-Up and WCOOP finalist G A W, whose A♣ K♣ couldn't crack recent Super Tuesday finalist Darko XYZ2's 4♣ 4♥ - there was mounting pressure on the shortest stacks. wiciu777 had been among their number early but two coin-flip wins against past Super Tuesday champ Jordan "JWPRODIGY" Westmorland - first with T♥ T♣ against A♠ Q♦ and then with K♣ T♦ against 2♥ 2♠ - reversed wiciu777's fortunes for good. The second win moved wiciu777's stack over 14 million and into the lead. With the 6:55 p.m. ET break looming, bencb789, the SCOOP 2014 champ who beat Fedor "CrownUpGuy" Holz heads-up for $1.1 million in last year's WCOOP Event #28, won a crucial flip with 4♦ 4♠ against lo-fi dream's A♥ K♦. Down to just 420,528 chips, lo-fi dream managed to double up twice before ending up all-in in a three-way pot with wiciu777 and bencb789; wiciu789 showed K♥ T♥ on the river of the 3♠ T♣ 7♣ 8♦ 5♦ board and lo-fi dream mucked, leaving in eighth. JWPRODIGY doubled through bencb789 on the following hand with 8♥ 8♠ against A♣ T♣, leaving bencb789 with just 11 big blinds. Those chips went in the middle four hands later, called off with Q♣ T♦ in the big blind after wiciu777 jammed with A♦ 6♣ in the small. wiciu777 took down the pot unimproved and bencb789 departed in seventh. Ten minutes passed before JWPRODIGY got in on the action again, this time calling with T♦ 9♦ in the big blind after nilsef min-raised to 600,000 chips in the hijack seat. He check-raised all-in for 3.4 million on the T♠ K♣ 2♣ flop and nilsef, holding A♦ T♥ for 88.2-percent equity, called with 1.6 million behind. The 7♠ turn and 8♥ river changed nothing and JWPRODIGY was gone in sixth. MendaLerenda got his first major boost of the final table on the following hand. He called a small-blind raise to 669,000 by Darko XYZ2 with J♠ 9♠ in the big blind and picked up a flush draw on the A♥ T♠ 5♠ flop. After calling a cheap bet there he made a flush with the 4♠ turn and once again just called Darko XYZ2's 594,945-chip bet, bringing the 7♥ on the river. This time he called all-in and won the 14.5-million-chip pot with the flush when Darko XYZ2 showed K♣ 9♥ - a pure bluff. That was the beginning of the end for Darko XYZ2, who called all-in with A♣ 7♠ in the big blind five minutes later. Original raiser wazawskiHH won with 9♣ 9♥ when the board came T♠ K♠ 7♥ 5♥ J♣, ending Darko XYZ2's tournament in fifth. Winning that pot gave wazawskiHH the lead but the following hand saw it transfer to wiciu777. Things started innocently enough when wiciu777 opened for 750,000 chips on the button with Q♣ J♣ and wazawskiHH called with 2♥ 2♦, bringing the 2♣ 6♠ T♥ flop. wazawskiHH check-raised to 2.8 million there and then led for 5.5 milion after wiciu777 called and the 8♣ came on the turn. wiciu777 called with the queen-high flush and then again, all-in for 12.5 million, after the 5♣ river. wazawskiHH's set of deuces fell to the flush and wiciu777 claimed the 43.5-million-chip pot. WCOOP only comes once a year. Click here to open your PokerStars account today. Now holding 60 percent of the chips in play, wiciu777 was in control of the table. Both wazawskiHH and MendaLerenda managed to double through the leader and stay afloat over the next 45 minutes, but WCOOP 2010 PLO Knockout and WCOOP 2016 NL Single Draw Championship winner nilsef's fortunes were settled after raising on the button with A♣ 9♥ and calling all-in after MendaLerenda shoved with T♣ T♠. The tens held up on the K♦ 9♠ J♠ 4♣ 4♥ and nilsef's run ended in fourth. wazawskiHH followed 10 minutes later. After limping on the button with A♣ A♥ and calling wiciu777's small-blind re-raise to 1.46 million, wazawskiHH flat-called 876,900 on the 3♣ 7♠ Q♦ flop. That brought the 9♠ on the turn - and with it a set for wiciu777's 9♣ 9♦. wiciu777 check-called wazawskiHH's all-in bet and held on through the J♣ river to send wazawskiHH packing in third. Winning that pot gave wiciu777 control of almost three-quarters of the chips in play. And though the duel with MendaLerenda would last for an hour, wiciu777's fortunes changed little during that period. MendaLerenda did double up to 30.4 million chips early on after making nines and treys on a two-heart flop and dodging wiciu777's 8♥ 7♥ flush draw. But there were no more big wins in the cards. wiciu777 finally limped in with 4♠ 2♣ on the button and MendaLerenda checked with 5♥ 3♦ in the big blind. The 3♥ 5♦ K♥ gave two pair to one and a straight draw to the other; after the 6♦ turn and 2♠ river MendaLerenda moved all-in, and wiciu777 called the bet to bring the tournament to its end. Pulling off a worst-to-first comeback is difficult in the best of circumstances, much less when facing a tough lineup of opponents with more than $222,000 on the line. Congratulations to wiciu777 for pulling it off! 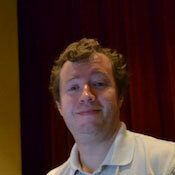 Jason Kirk is a Freelance Contributor to PokerStars Blog.